Do you have the skills and guts to be a Viking warrior? - Viking ships; Juvenile literature. Gr 3â€“5â€”Adventure-seeking readers will find much to enjoy here. 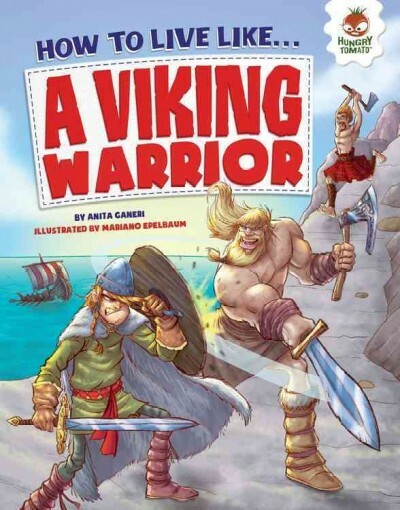 Each book focuses on the life of a young warrior, who describes his training, weapons and armor, and battles. His story is supplemented by background about his culture and its people, brief overviews of the culture's most famous combatants, and numerous step-by-step instructions for training or battle or detailed descriptions of how these fighters carried out their tasks. Each spread has a "Warning!" sidebar about daily dangers. The caricature-style illustrations include depictions of the subject and his companions, his culture, and its buildings and ships. Though a little short on report detail, these lively offerings are likely to capture the imaginations of those who long for tales of bravery and daring escapades. VERDICT Good supplemental purchases for upper elementary readers. [Page 61]. (c) Copyright 2015 Library Journals LLC, a wholly owned subsidiary of Media Source, Inc. No redistribution permitted.